WALLS, the latest live recording project from Gateway Worship, captures deep moments of worship while expressing the unchanging truth of God’s love for His church. But the truth is, we were never ment to live like this-with walls dividing us, separating us. God's heart is, and always has been, for us to be united as one. When our worship and praise go up, walls come crashing down. So let's make the choice together to worship our King. 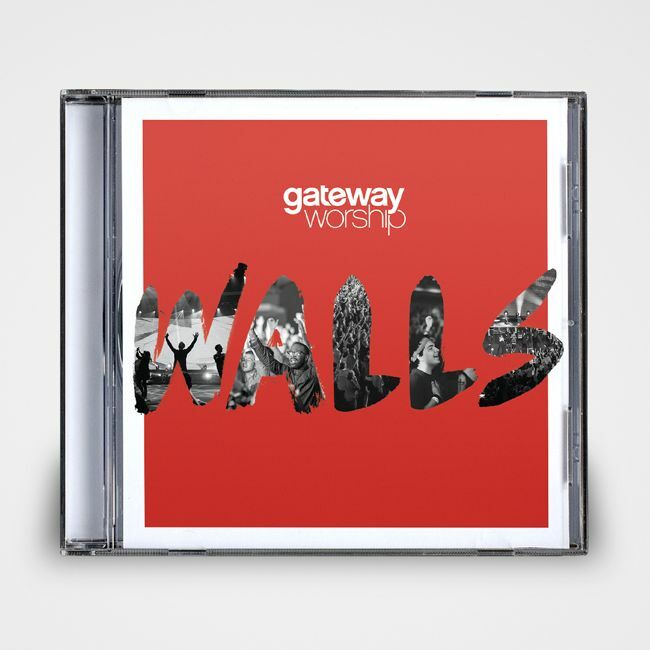 WALLS, the latest live recording project from Gateway Worship, captures deep moments of worship while expressing the unchanging truth of God’s love for His church. Led by Worship Pastor Thomas Miller and featuring worship leaders such as Dove Award-winning and GRAMMY® nominated Kari Jobe, Cody Carnes, Mark Harris, David Moore, Rebecca Hart, Matt Birkenfeld, Rita Springer, Anna Byrd and many others who collectively form Gateway Worship. Gateway Worship is part of Gateway Church which has grown to be one of the largest churches in North America and one of the most influential over the past decade. It’s worship songs, powerful messages, artists and resources are touching people and congregations around the world. In its first decade of existence, it has contributed many songs that rank with the top most used in churches based on chart listings from CCLI.